Plumbing is a lifeline in your home through which everything flows. That’s why when there’s a problem, almost everything you need to know before attempting a repair, installing a replacement piece, or even calling a plumber is here: expert tips, practical advice, and much more. Wherever your water comes from – a well on your property, your municipality, even rainwater harvested from the sky – like most people, you probably forget about the hidden plumbing that runs through your house until something goes wrong. 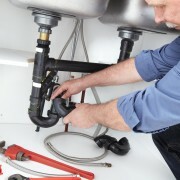 That's the moment you realize plumbing is a lifeline that connects the many activities that take place in and around your home: cooking, cleaning, heating, recreation, gardening and so much more. For those reasons, it never hurts to understand the basics of plumbing. Whether you're a first-time buyer keen to tackle plumbing problems in your new home or an empty-nester redecorating the kids' old bathroom to make it your own, a smidgen of plumbing savvy goes a long way. Do you have what it takes to get started? An adjustable wrench – perfect for hexagonal-shaped nuts, like those you'd find if you replace a sink trap. A hacksaw – to cut through everything from metal and plastic pipes to screws, nuts and bolts. Thread seal tape – very handy to fix a leaking showerhead and other threaded plumbing/joint connections. A hand-powered auger – to clear clogs in bathtubs, showers and sinks; and considered by many professional plumbers to be an essential piece of drain cleaning equipment every home needs. 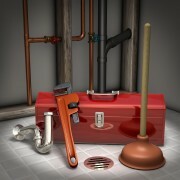 The plumbing in your house is a complex maze of pieces that work together. 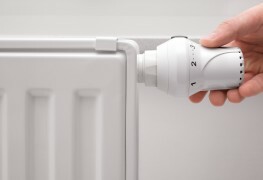 Finding solutions for such everyday problems as how to stop a radiator leak to repairing a dripping faucet to locating a water leak under your home are much easier when you know what the different pieces do. Pipes carry water, waste and natural gas in and out of your home from faucets, appliances, fixtures, septic tanks, wells and more. Made from an array of materials, including copper, PVC and cast iron, pipes are used in everything from sump pumps to hot water heaters. Valves are like mechanical switches that control how much water flows through pipes. 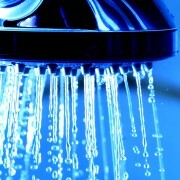 They're used in everyday items such as sprinkler systems, water heaters, toilets, washing machines and sinks. If you've ever had to install a dishwasher, replace a septic tank or flush sediment from a hot water heater chances are you've closed a shut-off valve. Joints differ in that they simply connect two pipes together end-to-end to ensure a tight seal and add strength to the length of pipe. As an example, plumbers often use brass compression fittings that literally screw together to form a watertight junction between the two pipes. Fittings that terminate (seal) pipe lengths. Tee-shaped fittings that allow three pipes to connect together. Elbow fittings that change the direction of pipes. Reducer couplings force water to flow into smaller diameter pipes. In turn, this increases the pressure within the system. Low water pressure problems can sometimes be resolved with reducer couplings. Plumbing traps and drains keep toxic gases and gross odours from invading your home. Usually incorporated into the drain pipes of sinks, showers and toilets, traps are typically comprised of a tailpiece, a curved trap piece, and a drain elbow. Despite having a trap under the sink, sometimes a trap is the reason for that nauseating stench in your basement. The way to stop sewer smells? Check if the trap is blocked. See if the pipes are tight and not cracked. Make sure the basement isn't too humid. 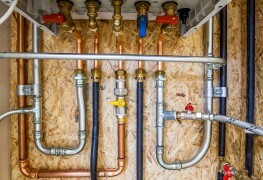 Although most homeowners usually leave bigger projects for the pros, having some rudimentary plumbing skills of your own can pay off in so many ways: not just the money you'll save, but the pride in saying you did it yourself. 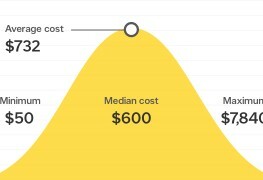 Best of all, not every project has to be a major undertaking to deliver maximum return for your effort. 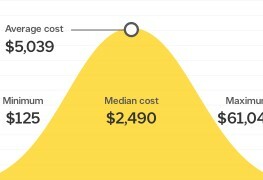 They say kitchens and bathrooms sell homes. If your bathroom looks dated, you'll be amazed at what replacing the faucets and putting in a new shower head can do to generate interest. Tired of that noisy toilet? Why is it each time you flush it sounds like a cruise ship is about to run aground? If you can't manage to repair that foghorn toilet noise you'll at least know how to install a new toilet. 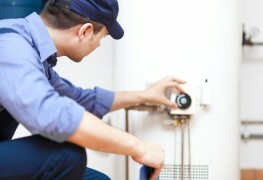 Got a water heater that won't work? Sometimes sediment build-up is the reason your morning showers aren't hot. Regularly draining your hot water heating system is a good way to help keep the boiler sediment-free, as is occasionally adding a rust-inhibiting compound to it. 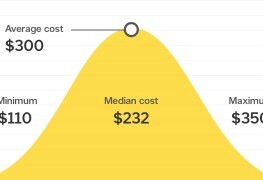 Keen to save on utilities? Check your toilet cisterns regularly because faulty ball- or float-valves waste water. 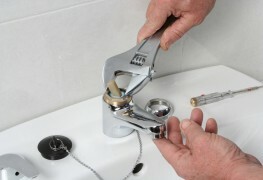 If the toilet tank won't fill and continuously runs, replace the faulty valve. Don't wait to fix a dripping faucet. 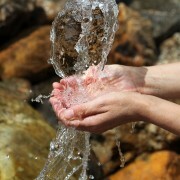 In a year, it can waste over 5,000 litres of water. To prevent pipes from bursting in the cold, instead of cranking up the heat in the more frigid areas of your house – such as a crawlspace – try the variety of insulating materials available at many home improvement stores. A partially closed shut-off valve (located at the water meter). Water hammer annoying your ears? 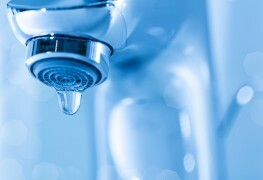 You've heard it before: that banging noise in your pipes after abruptly turning off the water. 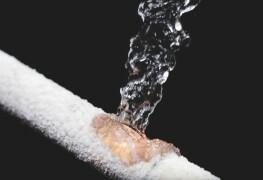 It's called "water hammer" and although not dangerous, it can be annoying. Water hammer is caused by pipes that have come loose from their supports, due to the shaking that occurs when water suddenly stops in the pipe. Look around your basement and check for pipes with loose mounting brackets. 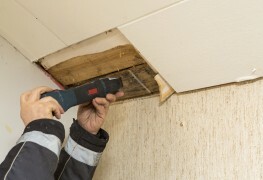 Tightening the brackets or replacing them should solve the problem of noisy pipes. Make no mistake: an informed homeowner is a smarter consumer in every way, especially when it comes to plumbing. However, certain tasks are always best left in the hands of a qualified, professional plumber who can guarantee his or her work and knows what to do. 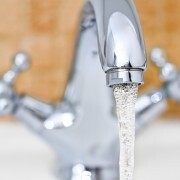 All of your household wastewater should exit the house through the main line. If it doesn't, don't mess around. You risk causing further damage and leaving your plumbing non-functional. 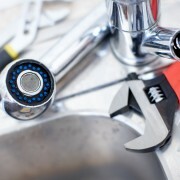 Any plumbing emergencies where the potential for electricity and water to mix must be avoided. The two are a lethal duo. Some appliances, like dishwashers and certain hot tubs, must be wired directly into your home's electrical system when you install them. Tempting as it might be to do it yourself, get a pro who knows the laws regarding the electrical code. In some provinces, like Quebec, it's illegal to do this kind of work without a licence. What's more, if you intend to invest a substantial amount of money in a project, chances are you'd only have time for it after work and on weekends. By then summer might be over. Why drag it out? A professional would provide a schedule and complete the work in a fraction of the time. Plus he or she would provide a written guarantee for the work done. Search various online sites and read independent reviews about the contractors. Do your research and have a rough idea of the work that needs to be done. Ask for at least three separate quotes to estimate the job's potential cost. Enquire about contractors' service warranties. A reputable plumber will stand behind his or her work.